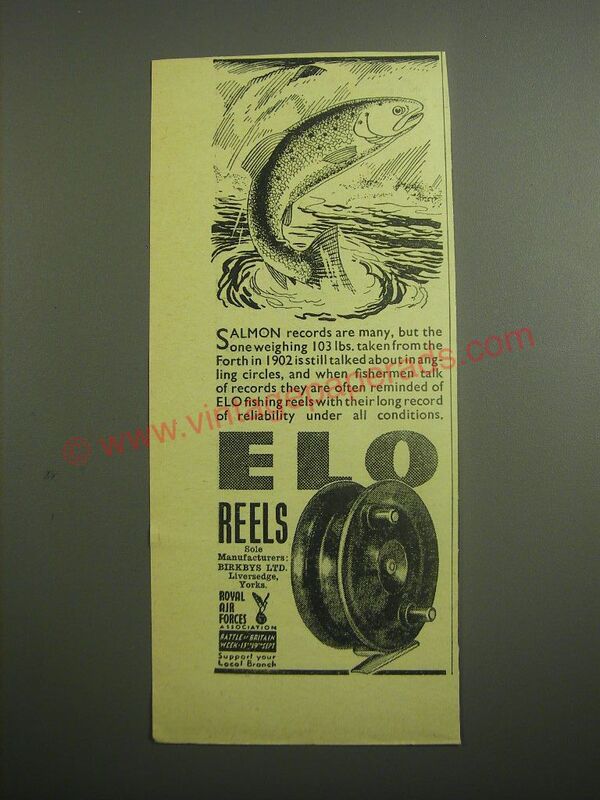 This is a 1948 ad for a ELO Fishing Reels! The size of the ad is approximately 2.5x5.5inches. The caption for this ad is 'Salmon records are many, but the one weighing 103 lbs. taken from the Forth in 1902 is still talked about in angling circles' The ad is in great condition. This vintage ad would look great framed and displayed! Add it to your collection today!